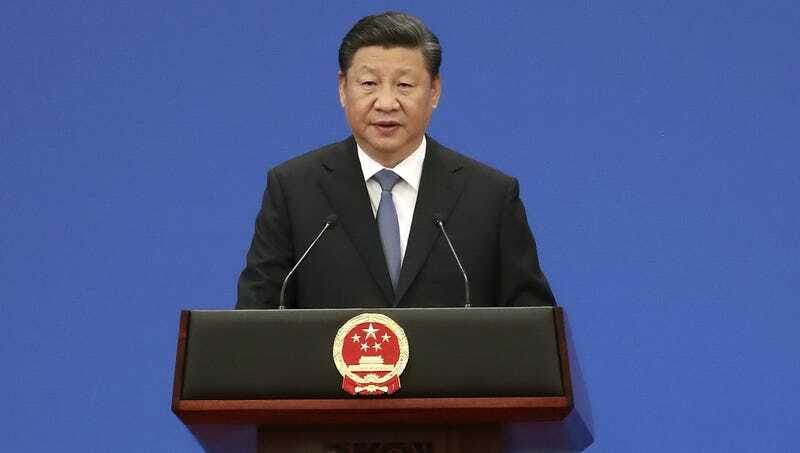 BEIJING—In an effort to reduce the risk of overpopulation within the Muslim ethnic group, Chinese President Xi Jinping announced the decision Thursday to implement a new one-Uighur policy. “This new policy is an important step in keeping the Uighur population down to a number we find most manageable and best for the nation as a whole,” said the general secretary of the Communist Party of China, explaining that the policy would ensure that the country’s resources could be fairly distributed throughout the nation’s population of 1.386 billion people as well as the single remaining Uighur citizen. “We’re willing to be reasonable. The lone Uighur can have a job, a house, and even a family—as long as they’re normal Chinese people. The Uighur population was becoming far too large for our liking, and we think we’ve finally landed on a solution that’s fair for everyone.” Xi also clarified that the population program was actually the result of a compromise after their initial attempts at an official no-Uighur policy.